I haven't blogged here in over a month and the first post I come back with, I'm wearing the same jeans and shoes as the last one. So I'm not winning many points for variety but I hope I've styled everything differently enough to warrant this new outfit post. 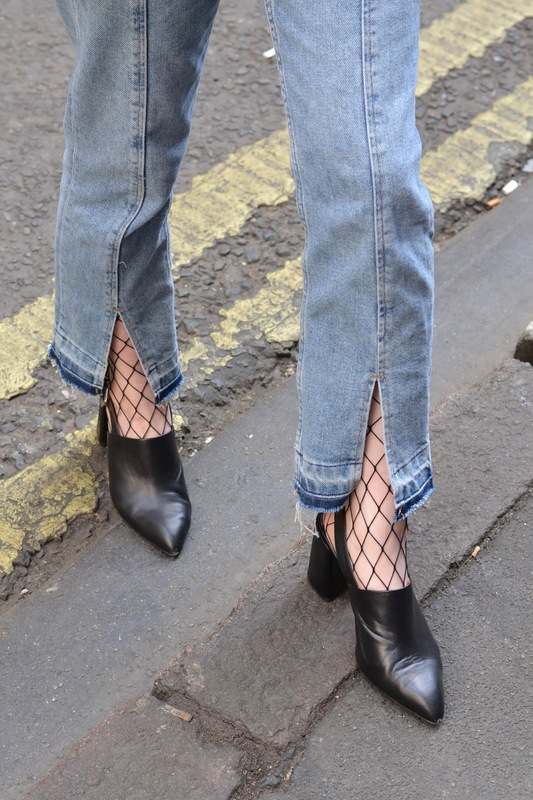 I've been wanting to wear these fishnet tights since I bought them a few months ago but between the cold weather and being in a styling rut, I hadn't gotten them out until now. I only recently realised the slit in these jeans would be perfect for showing them off, and thus this outfit was born. 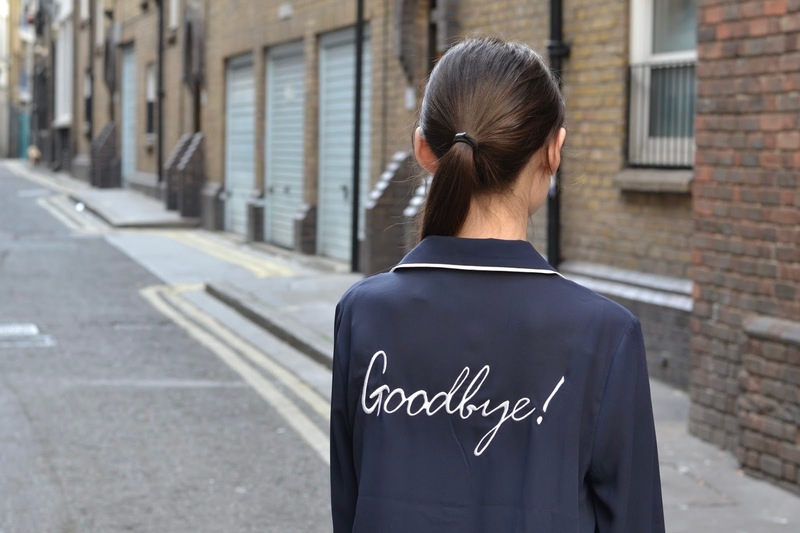 I went with my 'goodbye' shirt from Forever 21 for the top, only tucking in half of it because I spend too much time browsing Stylenanda and their influence is rubbing off on me.